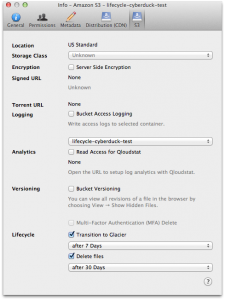 The latest snapshot and beta builds of Cyberduck for Mac & Windows now support lifecycle configuration for S3 buckets. 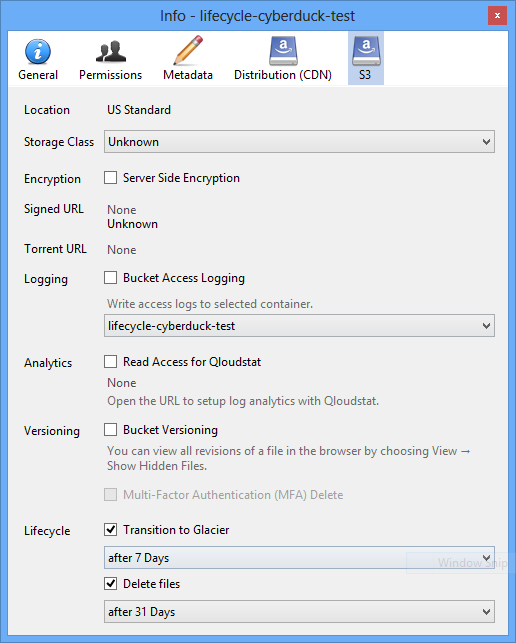 One can specify after how many days a file in a bucket should be moved to Amazon Glacier or deleted. This entry was posted in Cyberduck and tagged aws, s3. Bookmark the permalink.